Hello everybody and greetings from a place in England where the temperature is currently a whopping 20 degrees. Now depending upon whether you’re an Eskimo or a Hawaiian hula-dancer, this may sound either really hot or really cold to you; but for those of us here in England where the winter has seemed to last forever this year, this is a landmark day. And so to celebrate the sudden sweaty environment that we now find ourselves in, here is a latest news post. 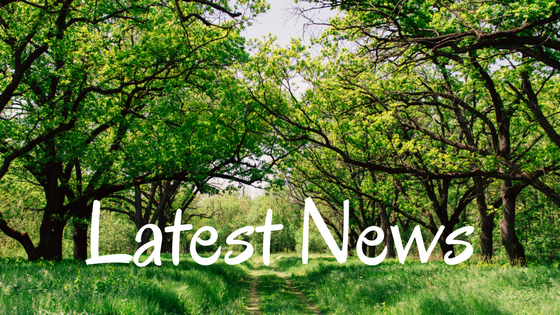 Editor’s note – since writing this Latest News post, the skies have turned grey, rain has began falling, the temperature has plummeted, and oh how typically British. It may come as something of a surprise given that I’m posting this out so soon after the four part feature-length article having just been released. And for anybody that hasn’t read this piece yet, well first of all, where have you been hiding all this time? Secondly, if you’re honestly not kidding and you really don’t know which article I’m talking about, well, it came about as a result of my having recently turned 40. It was something of a reflective period in which I decided to sit down and put pen to paper while I engaged in the aforementioned reflecting. This initial reflective period led to more reflecting. And then a little more. And finally, I treated myself to a little more reflecting. This all led to a whopping article which I decided to imaginatively call “Turning 40 (and The 12 Biggest Life Lessons That I Learned in my 30’s)”. You can access Part One by clicking here. 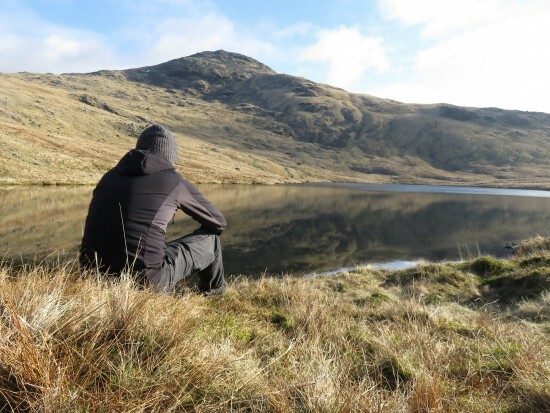 In other news, I recently completed my second ever Wild Camping adventure which took me back to the Lake District to have a second attempt at reaching Low Tarn at Wasdale Head. You can read about the first adventure here where *SPOILER ALERT* I failed to reach my intended destination. I am currently writing up the story of my second trip and will get this out to you as soon as possible. And for anybody that either follows me on social media (or would like to follow me on social media), you can find me on Facebook, Instagram, and Twitter. I only mention this as I am currently posting up a number of photos from this trip so feel free to check them out (hint – Instagram is the best place to see these photos). In other news, I recently posted out two People features that I am super-proud of. In the first of these two features I interview Maryanne Pope, and we have a conversation that is both heart-breaking yet heart-warming about a tragic life changing-event that took the life of her husband, John. I’ve received some incredible feedback from this interview and it’s an experience that has really left its mark on me, reminding me of exactly why I started creating these features in the first place. You can access the article by clicking here. Maryanne has also very kindly agreed for me to give away a signed copy of her book, A Widow’s Awakening, in a free prize draw. You can find details on how to enter by clicking here, and please note that the prize draw closes this coming weekend, on Saturday 28th April. The second people feature was all about a really cool guy named Jonathan who is taking part in a seriously testing challenge which will see him cycle from the Orkney Islands in Scotland, right through to Bournemouth in the south of England, via Lands’ End. This is all being done in the name of charity, and you can read the article and find out how to donate and help Jonathan by clicking here. Let’s see if we can help Jonathan in reaching his target of raising £1,500; a pound for every mile that he’ll be cycling (that’s 1500 miles if you’ve not worked it out yet). And do you remember how I mentioned last time that a new Concept Adventure is looking likely to happen? Well it is STILL ongoing and I’m even going to be making a road trip soon to meet a few key people in an attempt to really make things happen. So please do keep your eyes peeled for more news. If it doesn’t come to fruition then it certainly won’t be for a lack of trying, but please do keep your fingers crossed for me. And finally, I’d just like to say a little thank you to a long term reader and valued member of the Lossul.com community, Katy, who has sent me two really cool pictures. 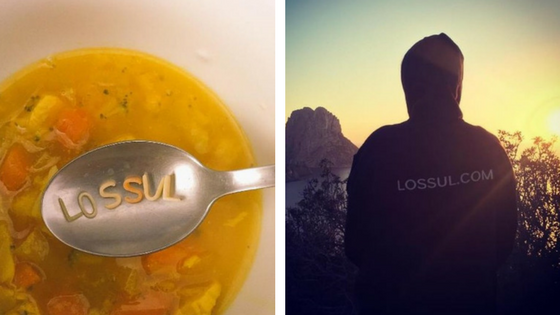 Not only does this indicate that she thinks about the site even while eating her soup, but she also had a Lossul.com hoodie made up which she then took on her travels. Can you believe that? Lossul.com popping up in all kinds of weird and wonderful places around the globe! I was really taken aback when I first saw this, but sincerely, when I first started this website I had no idea that it would reach out so far and so personally. Thank you Katy. And with this in mind, as valued readers of the site, is there anything in particular that you’d like to see more of on here? If there’s anything at all that you enjoy most of all then please do leave your comments below. While I will always write material that I want to be writing (because that was always the reason for this site existing), if I can incorporate something that will help give you guys what you need then I will always try to do that too. Believe me, there is never any shortage of material for things I want to be writing. I literally have a box full of notes that I intend to make into articles, or features, or adventures. I have voice notes coming out the wazoo, so many photos to upload, videos to get onto the site, and another Concept Adventure to start after the one that I’m already trying to get started. On top of that, I have a list of people that I’d like to try and get onto the site also. There is never a lack of material, only a lack of time. Well that just about wraps everything up for this time. As always, thank you for all your continued support and enthusiasm, and for all your likes, shares, and comments. Every tiny little thing that you do has a massive ripple effect further down the line, and it makes a huge difference for me and the website. A hearty thank you to each and every one of you. 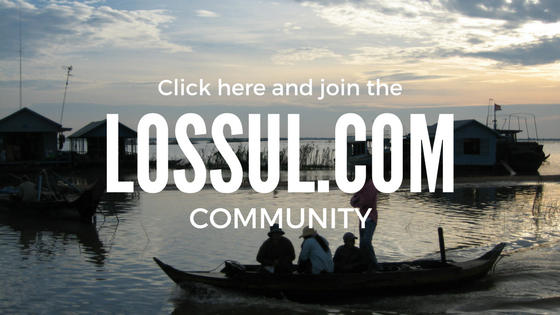 And for anybody that would like to be a part of the growing Lossul.com community, please do feel free to sign up to the Lossul.com newsletter by clicking here. I´ve enjoyed your blog over the years. Seems like your brain is always churning with dozens and dozens of ideas and projects. So much good and honest stuff here. You have always been and will continue to be a huge source of inspiration for me, you have made a serious impact on my life and for that I am sincerely grateful!! Looking forward to see what´s to come. Ah thanks Katy and I really appreciate your comment. Believe me, there is absolutely TONNES of content that is gradually coming together and there will never be a shortage of ideas. At present I’ve got enough rough material to keep me going for about the next two years! So new content will always be coming…I just wish I could get it out quicker. And it truly means the world to me to know that my writing has reached out and been connected with like this. When I first started this I never imagined for a second that would happen, and your support has never been anything short of amazing. I hope you continue to enjoy the site for many more years to come.